[Product Name] Review [Year]: Does it Really Work? Does [Product name] + Really Help You + [Promised Benefit]? The goal of this post is to provide visitors with more information about a particular product and help them answer this question: “Is this product right for me?”. Remember to put their interests above everything. Avoid being salesy or hype up products just to make sales. Be honest and factual when writing the review. Represent the site and use the word “I”. Refer to the readers as “You”, unless specified otherwise in the instructions. Be conversational and engaging. Ask questions frequently and be friendly in the post. Try to relate to your readers’ situations and stories. Short, concise sentences are preferred. Convey your ideas as simply and clearly as possible. Avoid fluff/filler words for the sake of word count. 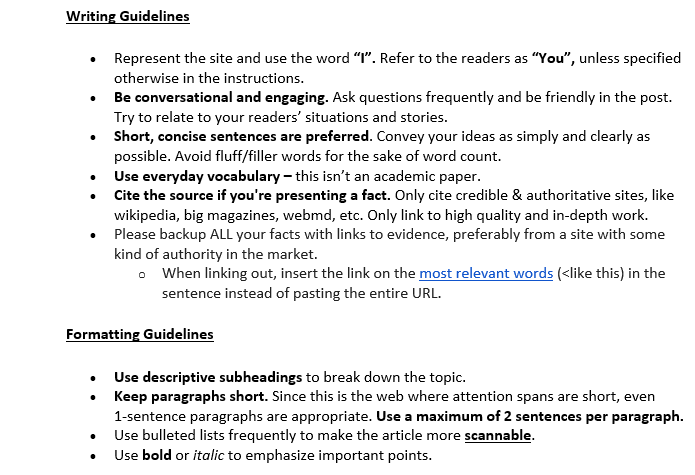 Use everyday vocabulary – this isn’t an academic paper. Cite the source if you're presenting a fact. Only cite credible & authoritative sites, like wikipedia, big magazines, webmd, etc. Only link to high quality and in-depth work. Please backup ALL your facts with links to evidence, preferably from a site with some kind of authority in the market. 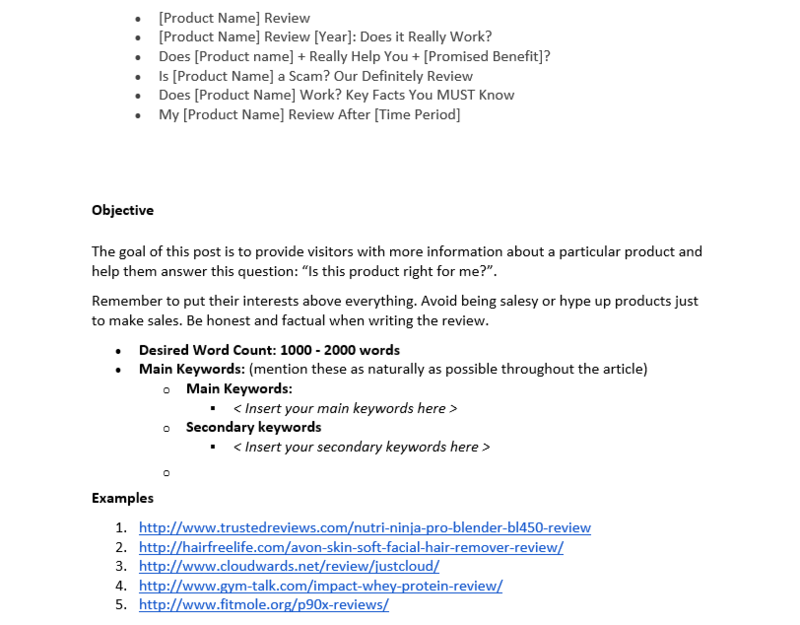 Write a 1500 to 2000 Words Product Review Article is ranked 5 out of 5. Based on 2 user reviews.